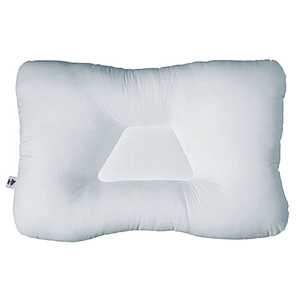 Determine Your Size To properly measure yourself for our sleeping pillow, please print our Custom Measuring Ruler at 100% and cut along the outside black line. Follow the diagram for where to position on the neck to find out what size to order. Hold the ruler level and measure from the base of the neck to the outside tip of the bony prominence at the shoulder. NOTE: Ignore any muscle mass beyond the bony prominence. 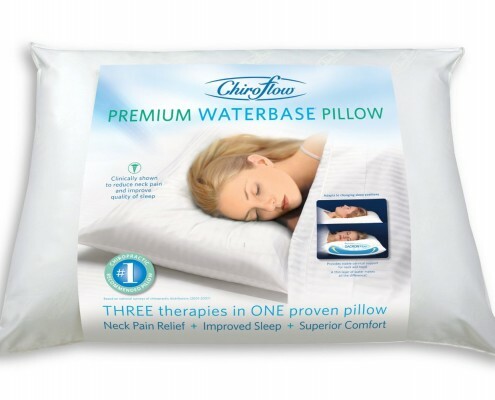 Choose one size smaller if you measure between two sizes or sleep on a soft surface such as memory foam or pillow-top mattress. 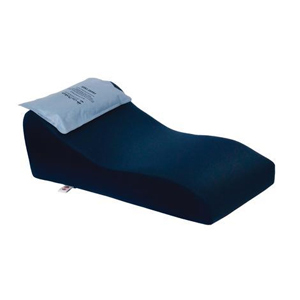 The Therapeutica Sleeping Pillow allows you to sleep on your back and/or side in the correct spinal alignment. 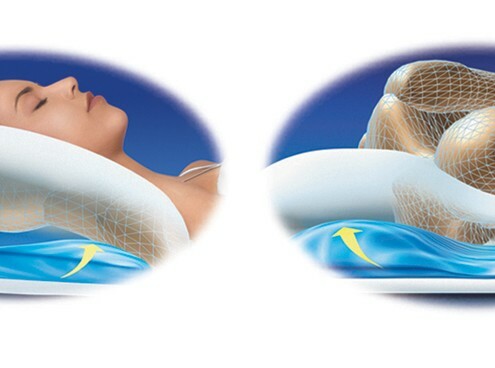 We believe that we have developed the most unique sleeping pillow in the world because the Therapeutica Sleeping Pillow incorporates two shapes into one pillow. 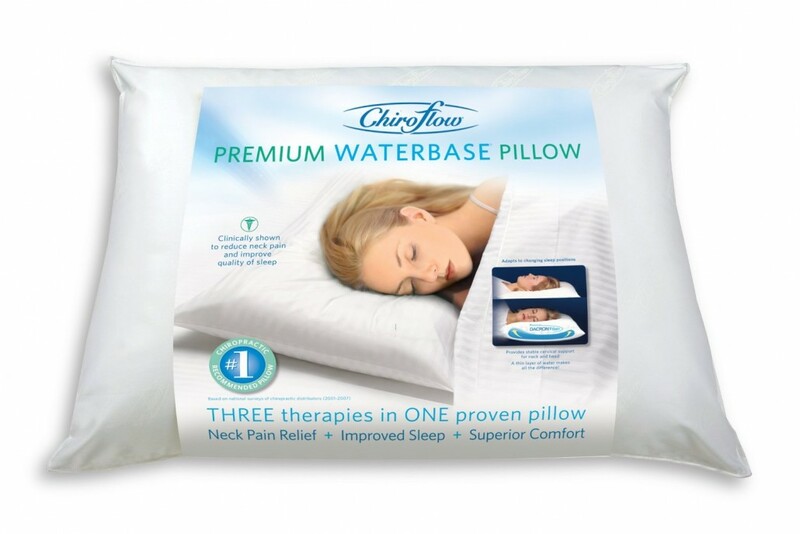 We believe that this is the only pillow on the market that is designed to properly support the spine when people are back sleeping and side sleeping. 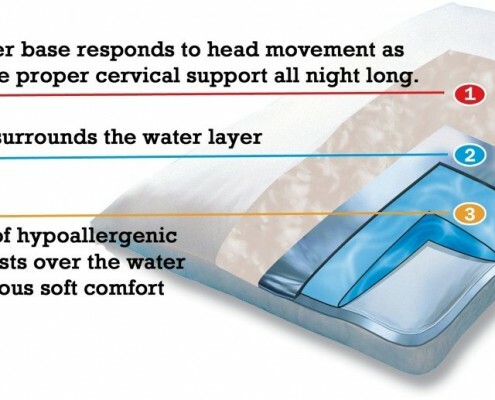 Since most people sleep in the center of their pillow when they sleep on their backs, the center of our pillow is designed specifically for back sleeping with a unique wedge for upper back support. When people sleep on their side, they sleep on the outside edge of their pillow, so both outside edges of the pillow are designed for side sleeping. 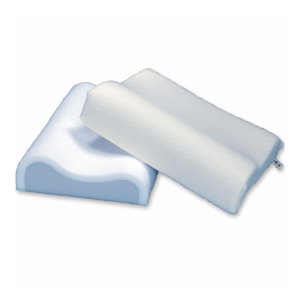 The unique density of our foam creates a softness, which allows for an extremely comfortable, yet supportive nights sleep. 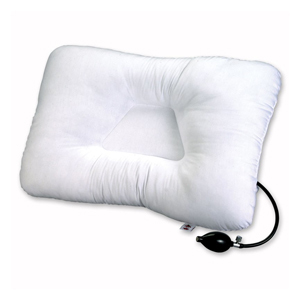 The CervAlign pillow is custom fit to you. 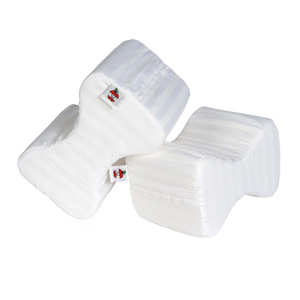 Its unique design and custom fit provides proper cervical support when sleeping on your back or side. 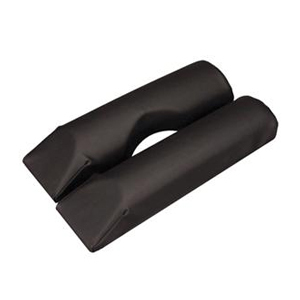 The unique curved design allows for shoulder comfort while properly supporting the neck. Antimicrobial fiber filling helps combat the growth of bacteria, mold and other micro-organisms to ensure freshness and long life. Available in 3 lobe sizes. Click here to download a printable .pdf file of the sizing guides (109kb) or see your health care professional for a proper fit..
D-Core Proper cervical support at an economical price. 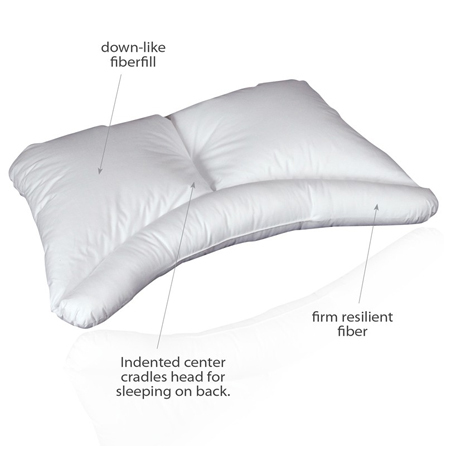 Patented “D” shaped center gently supports the head and neck during sleep. 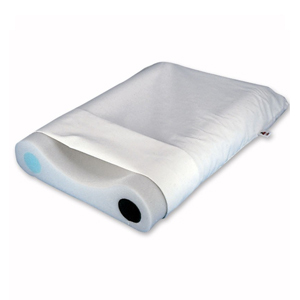 Filled with cool and comfortable, Corefill® 100% polyester fiber. Durable and washable. Experience the supple, luxurious qualities of water without the sound! Fits every patient perfectly and responds to changing body positions. 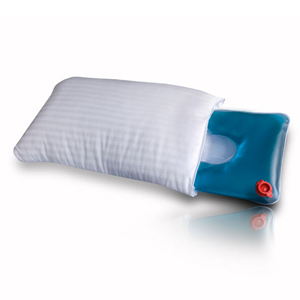 Provides excellent sleeping comfort and good health.Can help relieve neck pain and snoring. 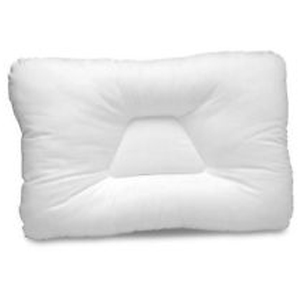 100% cotton cushion has a built-in lobe for extra cervical support and provides insulation and comfort, so the water never feels too cool. Unique Trapezoid Center in the water chamber offers adjustable levels for support and helps restore the natural curve of the neck.295_measure.jpg (1869275 bytes)Fits Standard Size Pillow Case. Easy to measure and fill the removable water chamber. 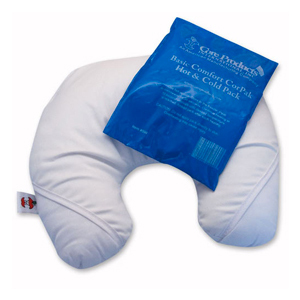 Features time-honored and medically recommended cold therapy treatment for migraine and tension headaches. Also helps pinched nerves, stiffness, sprains, neck injuries or other traumas. Great for travel. Use for sleeping or reading. Cold pack is removable. Optional gentle massaging unit available. 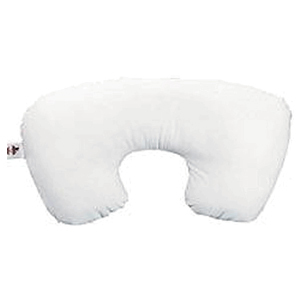 Helps relieve tension headaches and neck pain by helping you relax and restore proper neck posture. *Not designed for sleeping.